San Diego, Calif. (January 2012) – After months of closed-door meetings and top-secret design sessions, HRE Performance Wheels is proud to unveil its latest OEM bespoke wheel project – a collaboration with KIA Design America – to produce the all-new HRE-K1; a 19 inch forged Monoblok designed and built to order for KIA’s latest concept car. 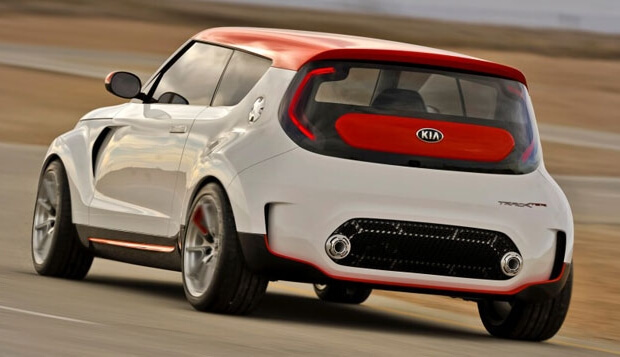 KIA approached HRE about the project because of the Southern California wheel manufacturer’s experience with building strong, lightweight forged performance wheels and ability to turn around custom projects quickly thanks to in-house design, engineering and production. 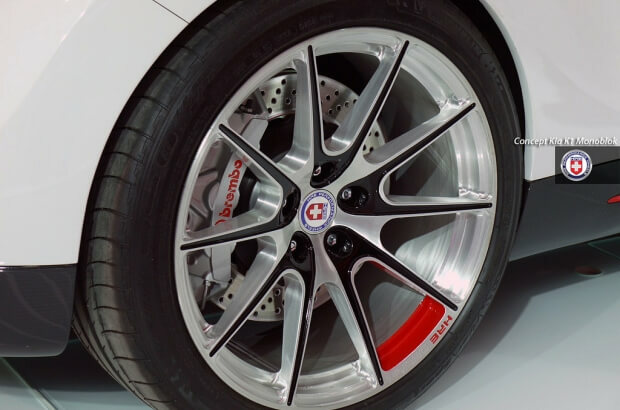 Like all HRE Monoblok high-performance wheel designs, the HRE-K1 started life as a billet of aerospace grade 6061-T6 aluminum, which was forged into the basic wheel shape with tremendous pressure to change the crystalline structure of the metal to maximize strength. 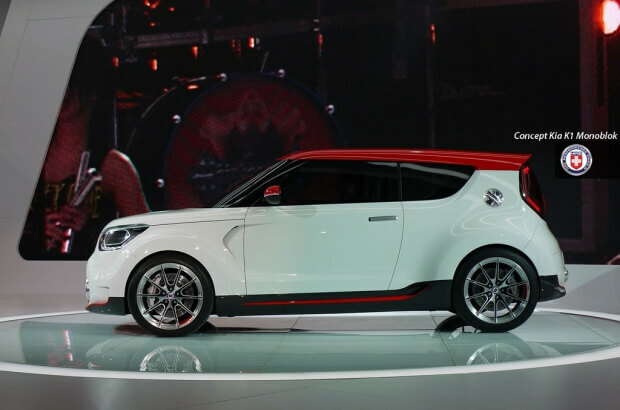 HRE and KIA designers worked together to conceptualize the look of the wheel, which was then rendered and computer modeled to simulate the forces applied by high performance driving. 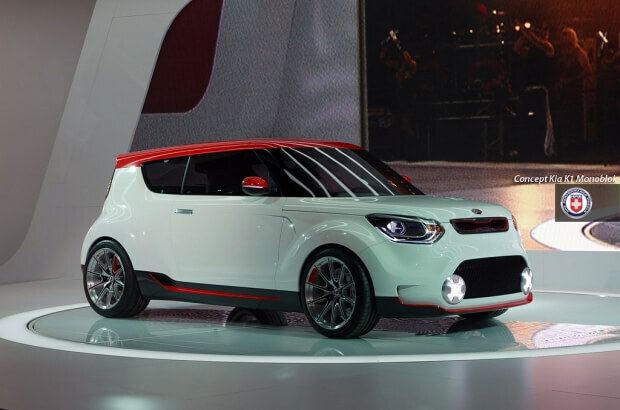 I-Beam spokes and lightening pockets were built into the design to maximize strength and minimize weight, as a lightweight wheel can actually improve driving dynamics. 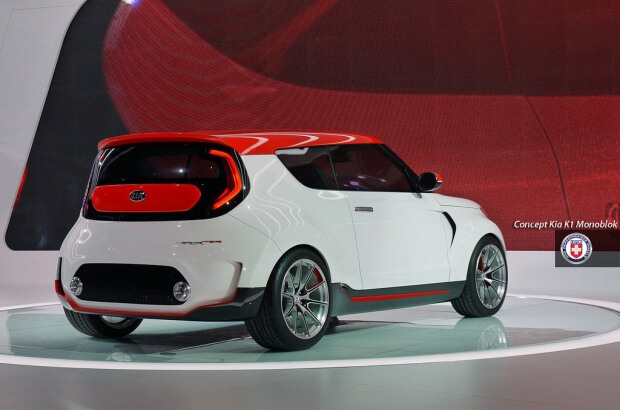 KIA’s HRE-K1 design was then programmed into a 5-Axis robotically controlled CNC Mill, which machined the final shape of the wheels out of the forged blocks of aluminum much the same way a sculptor chisels an image from a block of marble. Finally, the wheels were treated to a hand-applied brushed finish and custom colors before being shipped to KIA for final fitment. HRE designs, engineers and manufactures 3-piece and 1-piece forged aluminum alloy wheels for Racing, Performance & Luxury cars and SUV’s in their San Diego, California-based, TÜV-approved facility. HRE’s built-to-order wheel sets offer a customized choice of offsets, widths and finishes, resulting in a uniquely personal style and performance solution for each customer’s application. HRE wheels are sold through select high-end car dealerships, specialty retailers and performance companies worldwide. For more information, visit www.hrewheels.com or call an HRE wheel expert at (760) 598-1960.